Some time ago I launched the thread about parts of the kitebuilding you like or dislike. I told you I hated folding Dacron. In an old Dutch kitebook from the 90's there was a solution, I've used that idea to make an even more simple version. 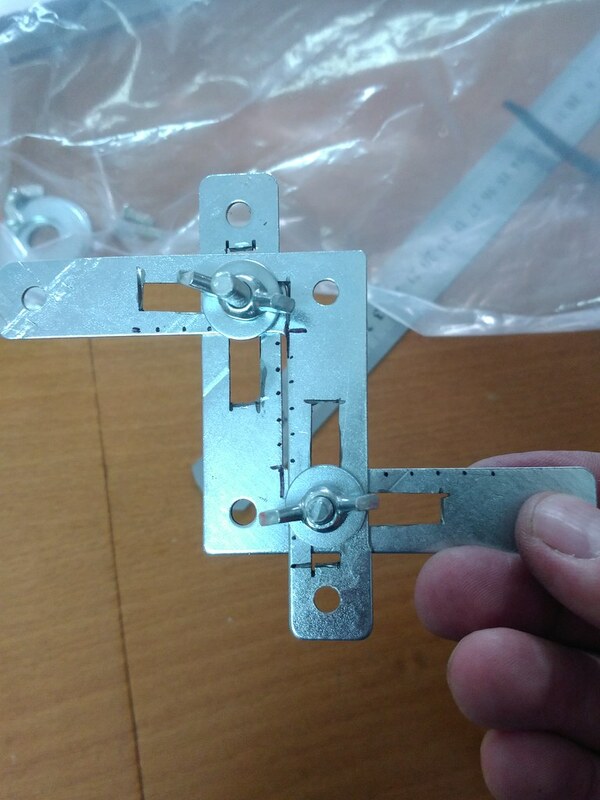 You need two glue clamps and two metal plates, check pictures, I don't knwo the correct English name, and even don't know how they are called in Dutch. I just took a good look around in the DIY-store. Now, push the plate together like on the picture below. Make sure the gap is 2.5cm exact and as tight as possible (under 1mm for sure). Now take a long piece of Dacron and handfold the first 10cm. With scissors cut a point, this makes it easier to put it through the gap. I did 40m of Dacron in about 3 minutes. This is fun! I did not try this with Spinnaker, but I think that won't work as good. Too thin and not as rigid as Dacron. Of course, for other widths of Dacron, this is as usable. That is a great idea. Do you have to pay much attention to keeping the edges even as the Dacron feeds through the gap? Do you have to pay much attention to keeping the edges even as the Dacron feeds through the gap? Not at all! Just pull. You make the gap (length) of the slit the exact size of the width of the folded Dacron. It can't go through unless it conforms to the finished width. If the gap is longer it won't fold in the middle. If the gap is shorter it won't go through at all. I'm gonna have to try this out! I liked Krijn's idea very much, and managed to get it to work with two metal rulers and 2 clippers. I then went on to fabricate this as modification of that great idea. I would suggest keeping an eye out for a HTool made by Holm....this is variable to all sizes.....I have one that I have not even tried to totally play with yet.